2 Source: The College Board, Trends in College Pricing 2016. 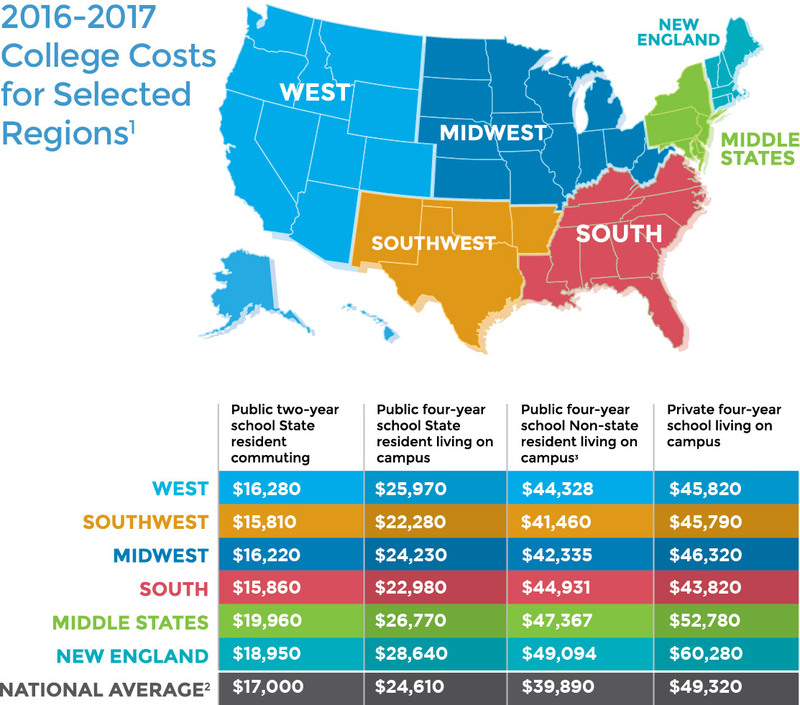 Tuition and Fees: Calculated the average by region from Figure 10: 2016-17 Tuition and Fees at Flagship Universities and Five-Year Percentage Change in Inflation-Adjusted In-State Tuition and Fees. Data for Books and Supplies, Transportation and Other Expenses: Figure 1: Average Estimated Undergraduate Budgets, 2016-17 (Enrollment-Weighted). Tuition and Fees and Room and Board. Data for Non-state resident room and board: Identified actual room and board for each school listed by the College Board as Flagship Universities (Figure 10) and averaged by region from the speciied College Board Flagship Universities individual cost of attendance reports on their website. 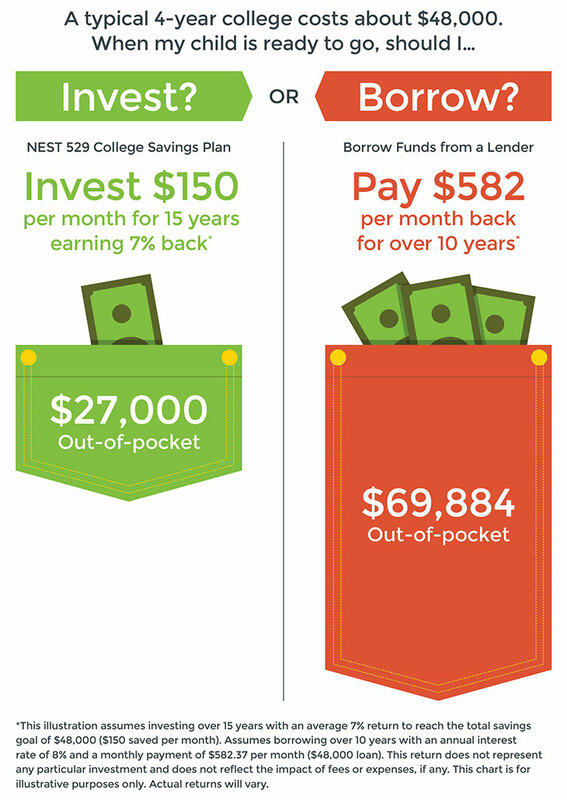 This illustration shows two ways to pay for a typical four-year private college at a cost of $48,000 a year assuming investing over 15 years with an average 7% return ($150 saved per month) or borrowing over 10 years with an annual interest rate of 8% and a monthly payment of $582.37 per month. The amount of principal you would outlay if you are borrowing is $42,884 more than investing $27,000. This return does not represent any particular investment and does not reflect the impact of fees or expenses, if any. This chart is for illustrative purposes only. Actual returns will vary.